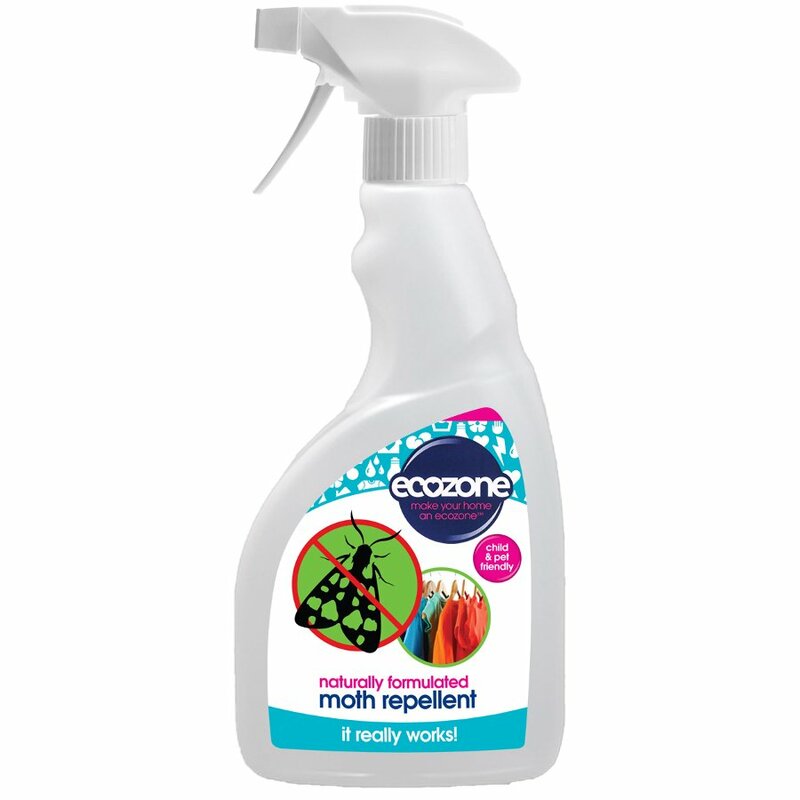 The Ecozone Moth Repellent creates instant and complete protection against moths and is suitable for all fabrics. It is not tested on animals and the eco friendly and vegan formula uses a complex blend of natural essential oils to create a long lasting barrier against moths. The natural essential oil complex is safe to use all around the home. If contact with skin occurs: wash with soap and water. If contact with eyes occurs: Wash with plenty of water. If medical advice is needed have container or label at hand. Always test on inconspicuous areas and only proceed when completely satisfied with the results. Keep out of reach of children. The Ecozone Moth Repellent - 500ml product ethics are indicated below. To learn more about these product ethics and to see related products, follow the links below. Q: Can I spray this on woollen garments and, if so, how frequently would I need to do this to protect against moths ? A: Hi there, Many thanks for your query. Yes, this is pet safe. I hope this helps.